We offer full care boarding and training as well as purchase/sale opportunities for Warmbloods imported from different areas in Europe. Gill Kallenberger grew up in England and started riding through the Duke of Edinburgh's award scheme in London. She competed internationally in the jumpers division from 1960-1967, and then relocated to Germany to study the art of dressage. After fine-tuning her dressage skills, Ms. Kallenberger moved to Panama and taught at a 100-horse facility in the Canal Zone and put on many three-day events and jumper shows. Ms. Kallenberger was invited to Dallas in 1973 to observe horses trained as "hunters", an alternate form of English riding, focusing on style and form while jumping instead of speed. The art of "Hunters" provided a new form of competition not yet developed in the riding community in Europe and South Central America. Ms. Kallenberger instantly fell in love with the hunter style of riding and decided to remain in Dallas to learn more. In 1974 Ms. Kallenberger opened a hunter/jumper facility in Carrollton, named Greenbriar Stables. At the time, only two other show barns existed within the DFW area, so there was a great need for quality instruction. 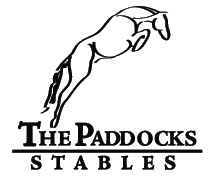 In 1984 the stable's name changed to The Paddocks since moving to Dallas, Ms. Kallenberger has also co-founded the Dallas Dressage Club and was President of the Dallas Hunter/Jumper Club. In addition to attending both hunter/jumper A-shows and schooling shows for the last 40 years, Ms. Kallenberger has coached many of Texas' top riders and trained nationally ranked and "Year End Winner" horses, including Fiddlers Bridge, Historic Lane and Katcha Lookin'.